A Frog is a beanbag positioning aid seen comforting baby Tessa in the photo. Tessa's parents Nancy and Anthony Woodyard started the adopt a frog campaign in memory of their daughter Tessa. A Frog helps with comfortable positioning of a premature baby. It can be adjusted for special positioning needs, or used as an extra set of hands, giving the infant a snuggled feeling. 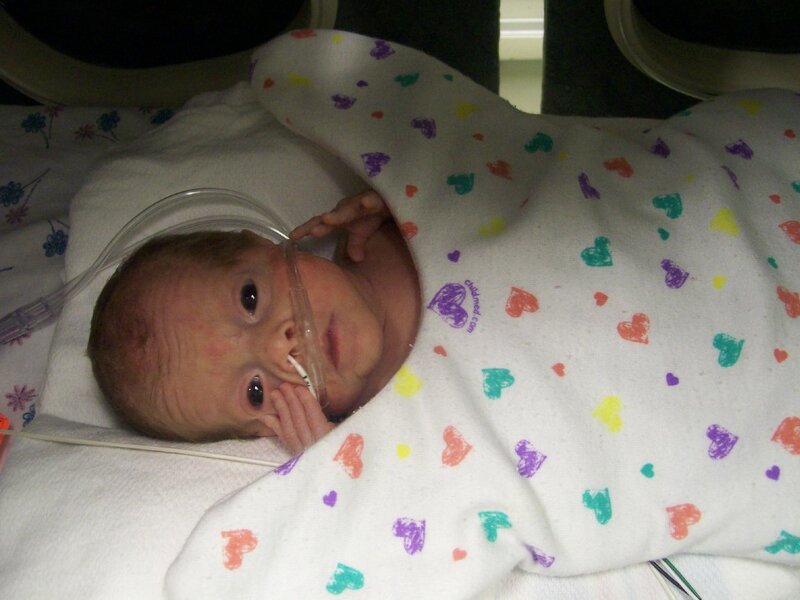 For each donation of $15, FSNCC can purchase a Frog for an infant in the Neonatal Intensive Care Unit.